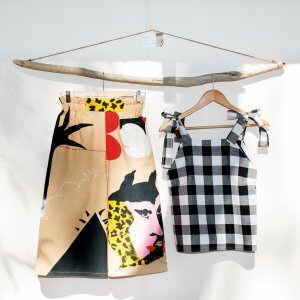 Creating clothing can feel like hard work, but designer Libby Frederickson constantly reminds herself that sewing them slowly feels like making art and with fashion label COY deROY, she is doing just that. 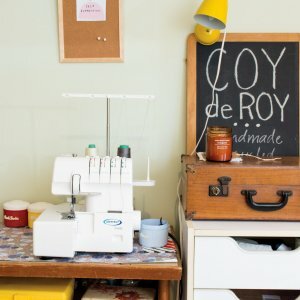 Libby started upcycling fashion as a hobby three years ago and is now the sewing sensation and manufacturing mastermind behind COY deROY Clothing. It all began when the longtime op shopper could not find her size, style or colours in thrift stores, causing her to take matters into her own hands and make an alteration. Libby is a self-taught sewer and has been tailoring her craft for more than 25 years. 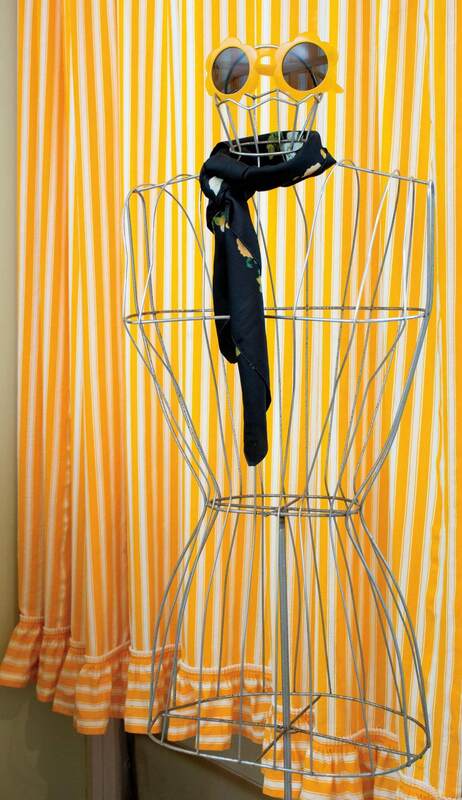 “Making the clothes was a logical progression,” Libby said of her lightbulb moment. 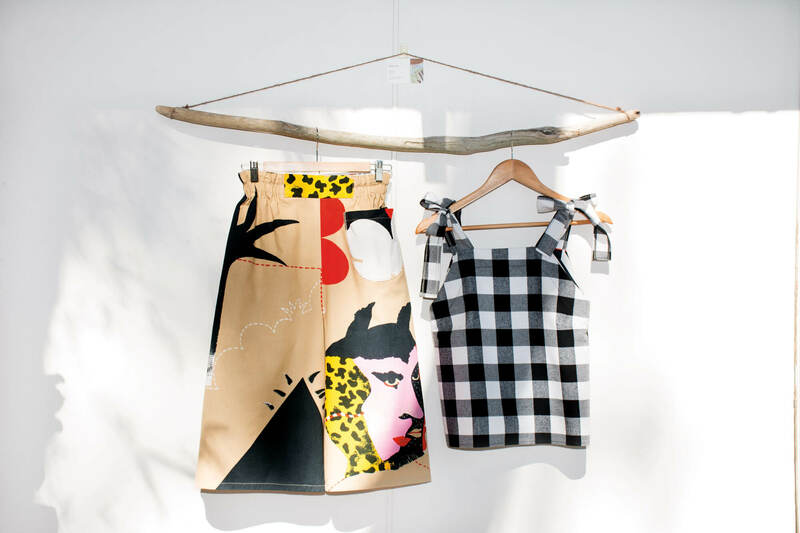 Having always been interested in creative street fashion and vintage clothes, Libby says the artistic thrill of producing small batch collections with unusual textiles is “tremendously enjoyable”. 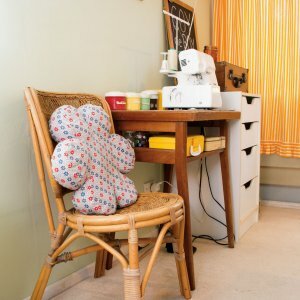 She fondly talks about her passion, saying she loves losing herself in a “sewing fugue” where the world simply melts away and it is just her making something with her own hands. When someone talks about their job in such a positive way, it hardly sounds like work. 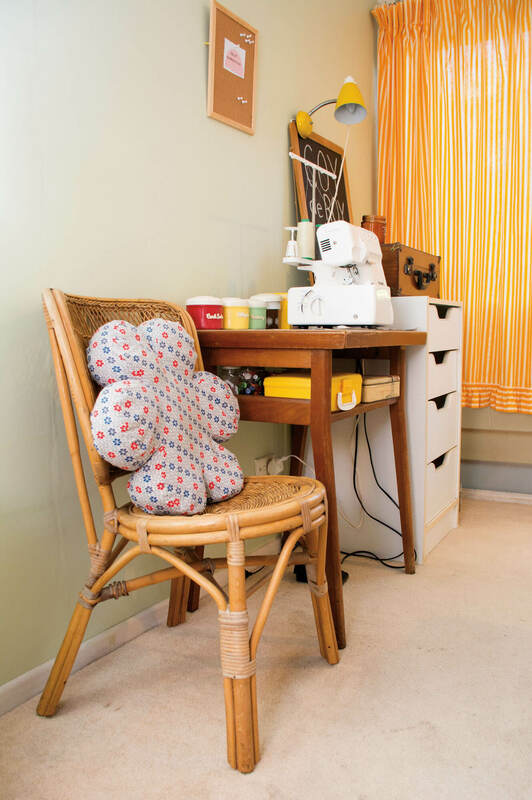 Libby describes being a seamstress as methodical, relaxing and freeing of her mind. 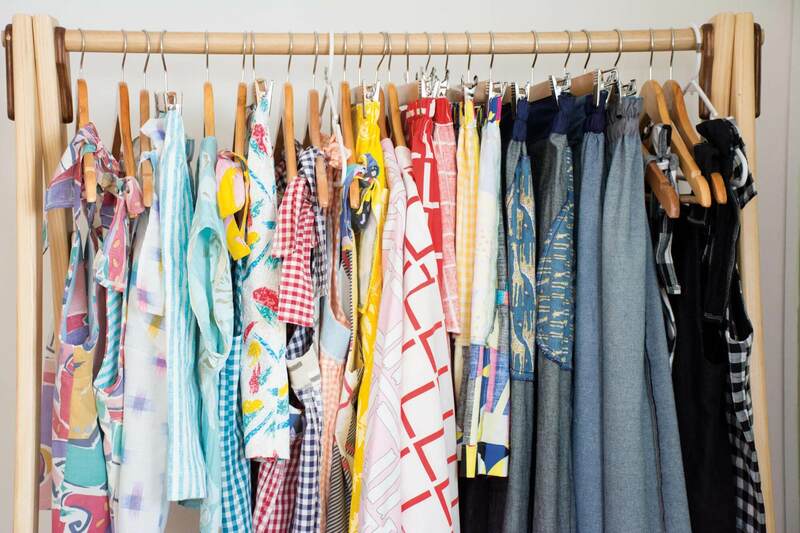 COY deROY Clothing is available through ready-to-wear small batch collections, popping up every few months when a collection is ready, at a market or independent retailer like Browning Street’s Nook. The Etsy shop is always brimming. 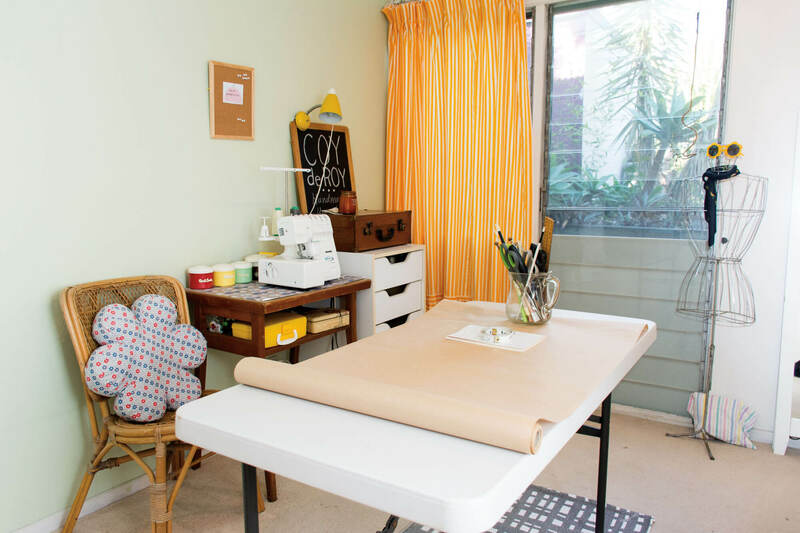 It is at these markets and small-scale events that Libby connects with like-minded creatives, customers, friends and supporters, speaking fondly of the comradery of the interwoven upcycling community. Enjoying a slow construction method, Libby likes to leave little handmade surprises throughout each garment. 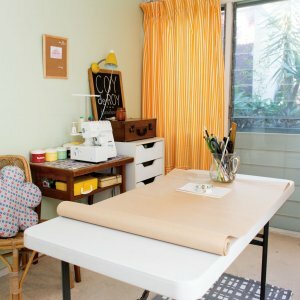 While it only takes a couple of days for her to create an individual piece, she says building a collection of complementary pieces, using vintage textiles, takes much longer. But what inspires Libby? Unapologetically the 80s. Jenny Kee rocks, then and now. Keith Haring’s graffiti artwork screams “vibrant” and “in your face”. Libby excitedly chatters about a recent collaboration collection in Paris between Jenny Kee and Romance Was Born. “Upcycling really is the new black,” she says. There’s another motive for COY deROY. Libby has been questioning her consumption habits and trying not to over-consume just because second hand is more affordable. 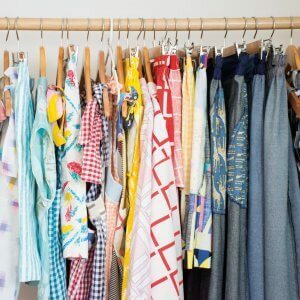 She regularly trades pieces of her wardrobe through the SWOP Clothing Exchange at West End, a place that shares her disinterest in disposable fast fashion. 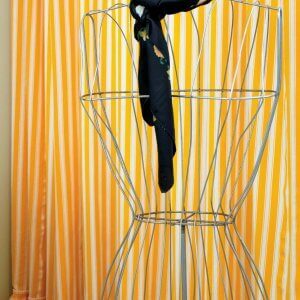 “Single use disposables in convenience settings are over and out, and I think that establishments are helping consumers break long-held habits by removing the availability of bags and straws.” Her label aspires to uphold longevity, focusing creativity, comfort, and charm to make a piece of clothing endure. 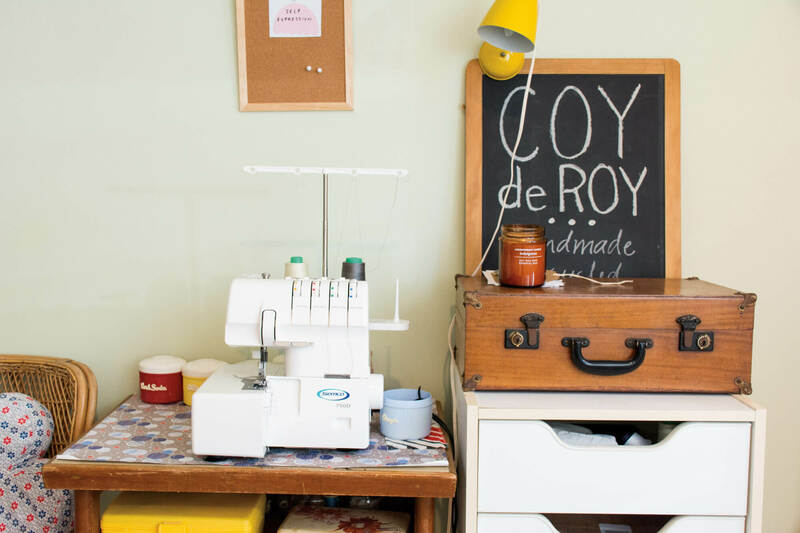 Future plans for COY deROY involve collaborating with local makers, as Libby believes pooling resources and energy with others makes good sense for solo creatives. As far as production goes, she is more than happy keeping her focus on handmade for now, and slowly building a quality clothing label to go along with it. Readers also enjoyed this story about Supabrella.